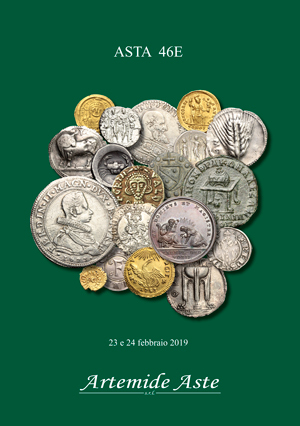 Coins 480 Benevento. 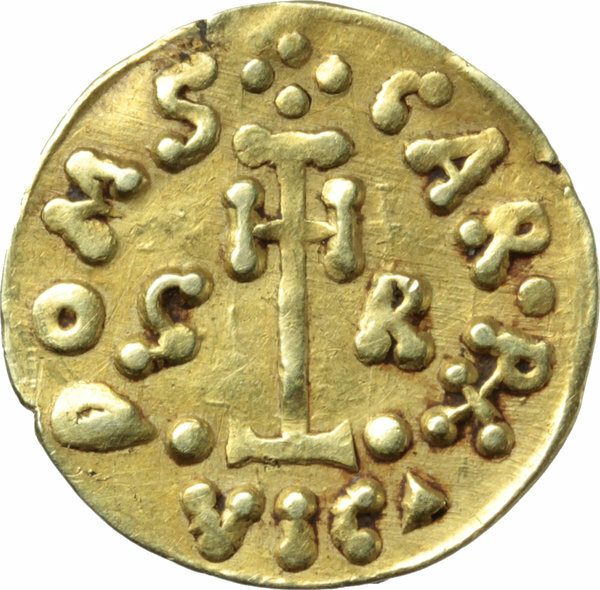 The Lombards at Beneventum. 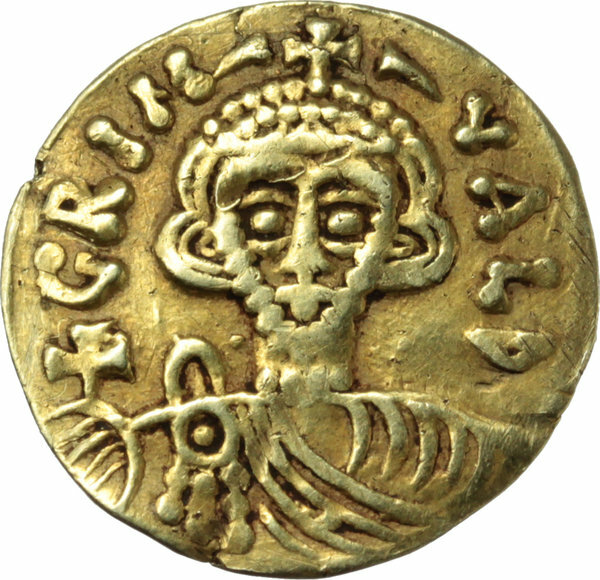 Grimoald III as Dux with Charlesmagne (788-92). AV Tremissis. D/ Diademed and draped bust facing, holding globus cruciger. R/ DOMS (four crossed pellets). CAR.RX. Cross potent between two pellets; G-R in fields; VICΔ in exergue. CNI 9. Sambon 419. MEC 1098. AV. g. 1.12 mm. 15.50 R. VF.